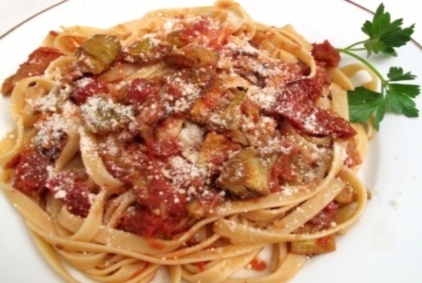 This excellent spaghetti dish is made with cubed eggplant, tomatoes, herbs and spices. Enjoy! Mangia Italiano!